Travelling can be quite tedious but flying on a plane that's delayed makes for some of the worst travel stories. For passengers flying on an Air Canada flight from Saskatoon's airport to Toronto, the wait was for several hours. And the reason for the delay? A pesky little raccoon. 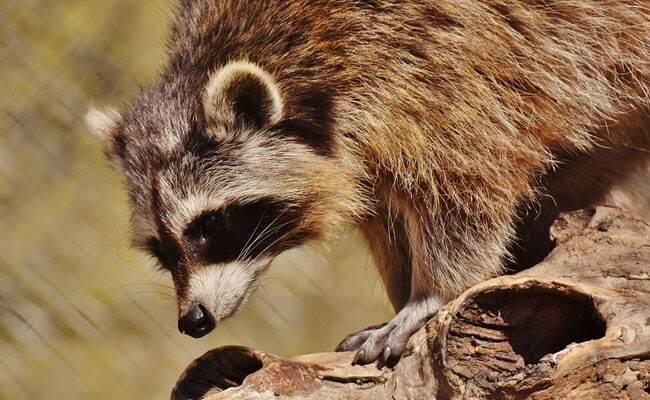 According to airline staff, the raccoon snuck into the hose of an air conditioning unit, reports CBS News. Tweets posted by passenger Damien Lee document the entire rather bizarre incident. "For the first hour, it was really novel," he told CBS News. "No one's ever seen anything like this." Airline staffers and animal control experts worked together to get the animal out, reports CTV News. Panels from the aircraft were also removed and lassos were kept ready in order to catch the raccoon. More panels coming off. I respect the effort @AirCanada crew is putting into finding this raccoon. It'd be nice to get flight underway, but so far passenger lounge still finding this novel. Meanwhile, Air Canada tweeted the passenger back saying they were putting in their best efforts to get the animal out. Eventually, the animal made it out and managed to escape unharmed, reports CBS News. The flight that was meant to leave at 2:50 pm eventually took off at 10 pm. Wonder what the raccoon's next adventure will be.